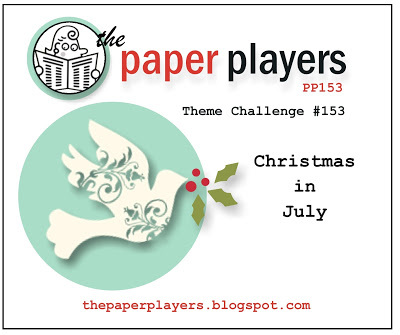 Over at the Jingle Belles Blog, a blog dedicated solely to Christmas cards, Stef and Lauren want us to create a card WITHOUT any DSP/pattern paper. No problem! The Paper Players are having a Christmas in July challenge this week, awesome! 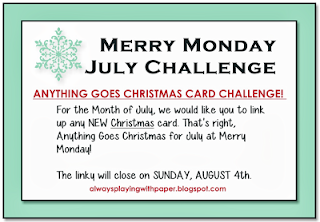 And last but not least, Merry Monday is doing things a bit differently this month and instead of weekly sketches its an "Anything Goes" challenge, link up any Christmas card you make for the month of July. 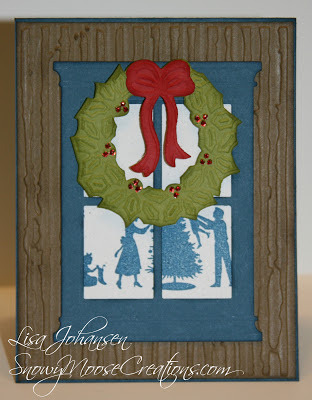 One of my very favorite things to see on windows at Christmas are wreaths. Growing up in New England it was very popular but the farther west I came it didn't seem as prevalent and here in Alaska I don't see it very often either. As I put my card together I just pictured the old colonial homes back east, draped with beautiful live wreaths for the season. The wreath is popped up with dimensionals, and I added Xmas Red Stickles to the wreath. The background was embossed to look like wood and I sponged it to get darker spots, like aged wood might have on the side of a house. I also sponged the wreath, bow and window. 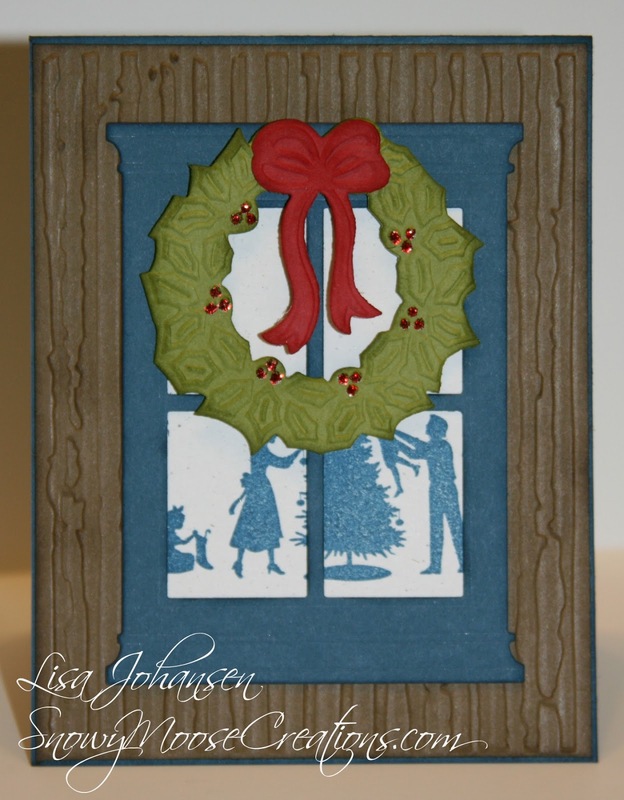 I wanted the wreath to be the main focus but didn't want the "inside" of the window to look blank, so I stamped a scene that one might see if walking by a house, a wreath partially blocking the view. I'm really happy with the way this turned out and I think tomorrow I'm going to crank out several more of these cards! 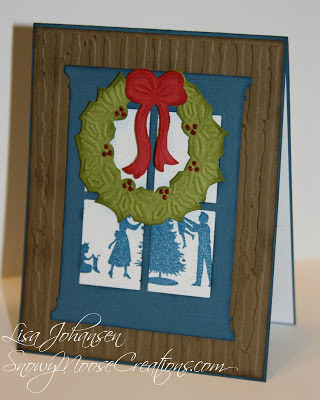 Beautiful card and I love that window die. I just got my first one along with curtains and a window box. Thanks for joining us at Merry Monday. oh ♥♥♥WOW♥♥♥!! miss lisa, this is an incredibly beautiful and totally clever card, every single detail is soooo brilliantly conceived and carried out, i just want to stare and stare to take in every bit of it!!! 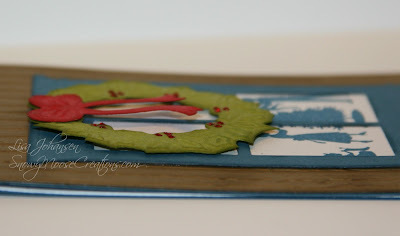 so pleased you could join in our cardstock christmas fun at JINGLE BELLES, b/c holy moly have you ever ROCKED IT this time! Lovely card Lisa, I love the colours and texture you used. Thank you for joining us for Merry Monday. 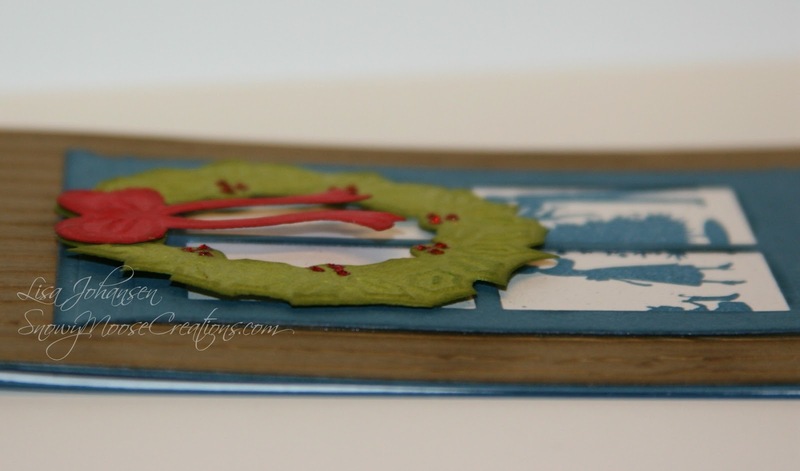 As usual, you have rocked all the challenges with this adorable Christmas card! What a sweet peek into the window! So glad you shared this with us at The Paper Players! 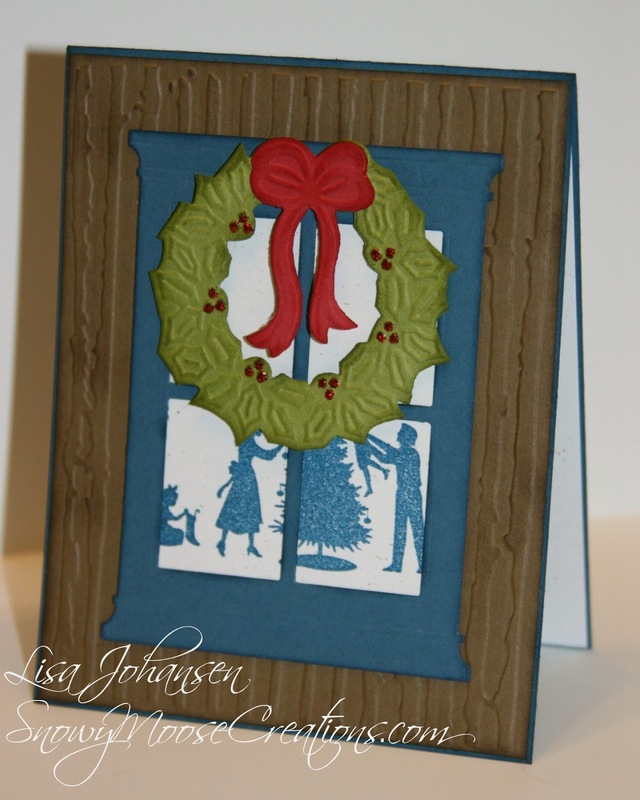 Great card, love the woodgrain background. 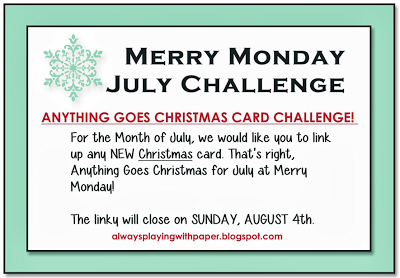 Thanks for playing with us at Merry Monday! What an awesome holiday design ... I love how it looks like you're getting a sneak peak on a family's holiday celebration ... and that blue is so pretty ... so very glad you joined us at jingle belles.